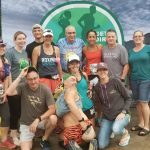 One of my favorite things about the trail and ultra running community is the easy-going, welcoming, and supportive attitude exuded by almost everyone involved. 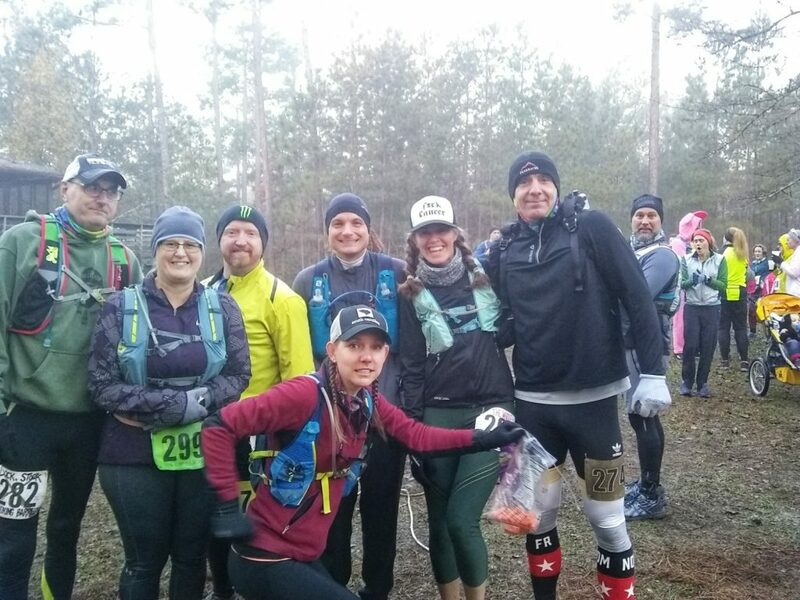 Despite the fact that most undertakings in this group of runners are huge – we’re talking difficult, technical trails, running upwards of 50 to 100 miles or more, muddy trails, sleepless nights, and other insane feats of human athleticism – rarely is the atmosphere serious and stringent. 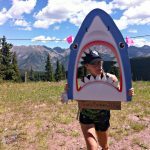 Contrary to the road running world, where courses are marked to the inch and certified, the air of competition is so thick it feels intimidating, and everything feels very businesslike, you can tell trail runners are out there because they simply LOVE to be on the trails…and they want to share that love with you, too. 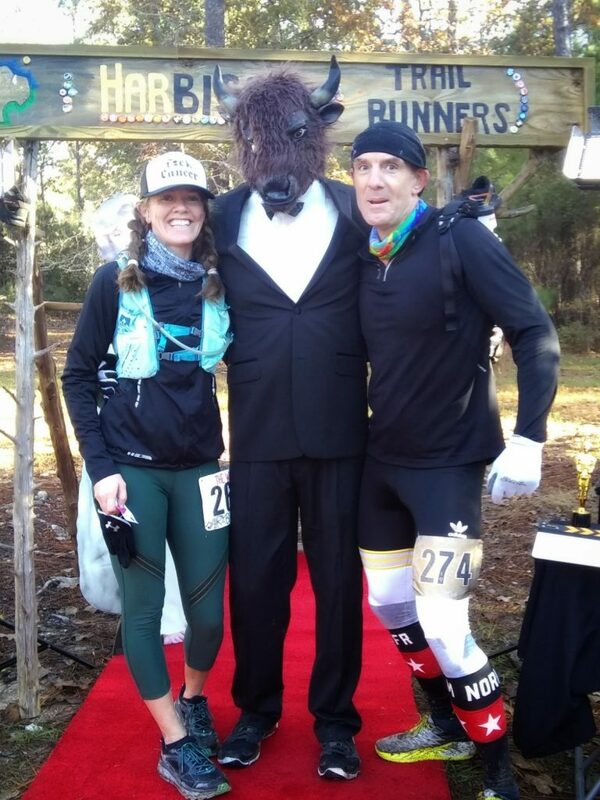 The annual Hairy Bison 15K & 30K run is the perfect example of everything I love about the trail running community. 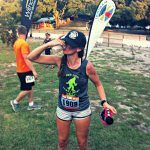 I’m not sure how we discovered this race last year, but we had such an incredible time at the 2017 event that we suckered a handful of fellow Myrtle Beach friends to tag along for this years event. 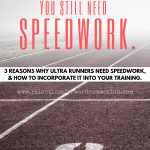 Even if it meant a 3:00 am wake up call and a 3:45 am departure time to make the almost 3 hour drive to Columbia, SC in time for packet pickup. So our friend Paul picked up Geoff, our friend Felicia, and I bright and early and we headed Northwest. Fe in the ultra-mobile! FYI we stopped at this gas station/Dunkin Donuts at 4:45…no donuts till 5 am . Womp, womp. 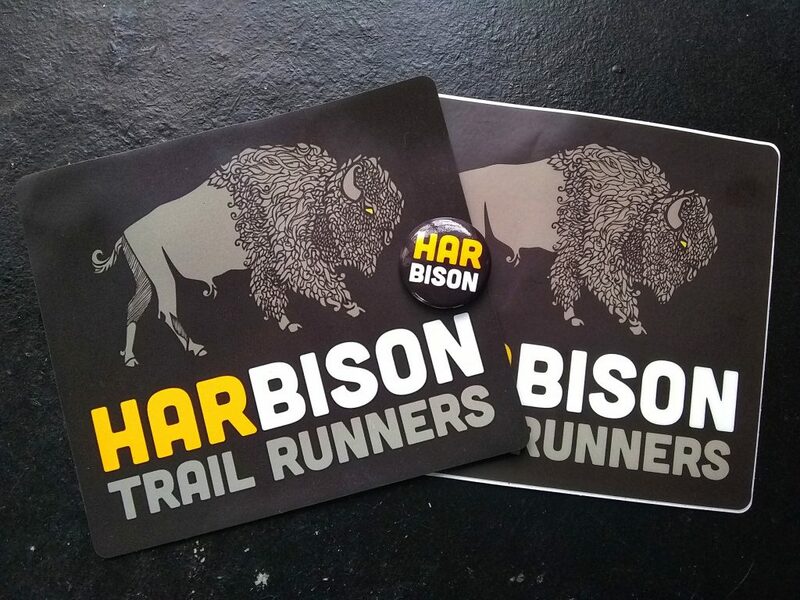 The Hairy Bison 15K & 30K is put on by the Harbison Trail Runners, and is not only a free event, but they actually pay you to run it. 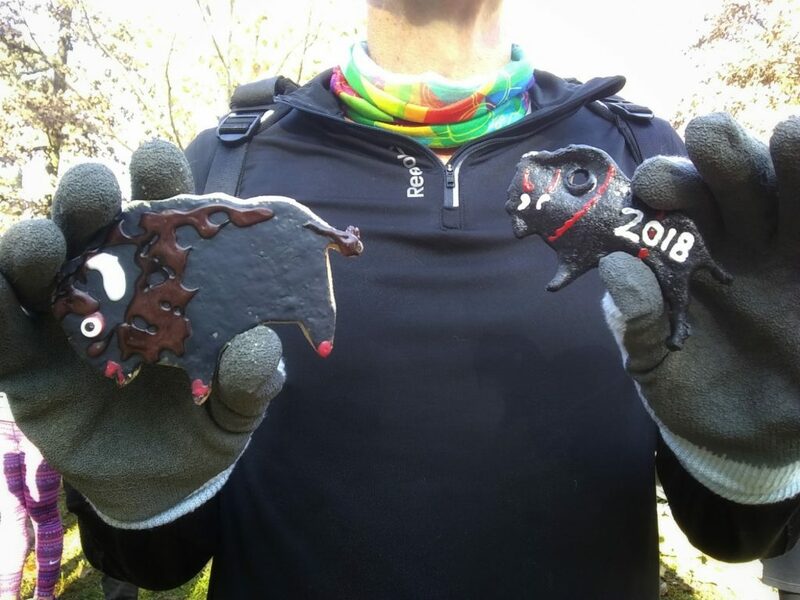 It’s true, for each outer loop of the Harbison Forest trail that you cover (once for the 15K, twice for the 30K) you pick up a buffalo nickel that you get to keep. In total, my family has brought home $0.30 over the last two years. We’re well on our way to retirement. We arrived at Harbison and were treated to VIP parking, as we carpooled with 3 or more people (parking is limited, this was the bribe used to get people to rideshare.) We immediately headed over to check in and grab our bibs. 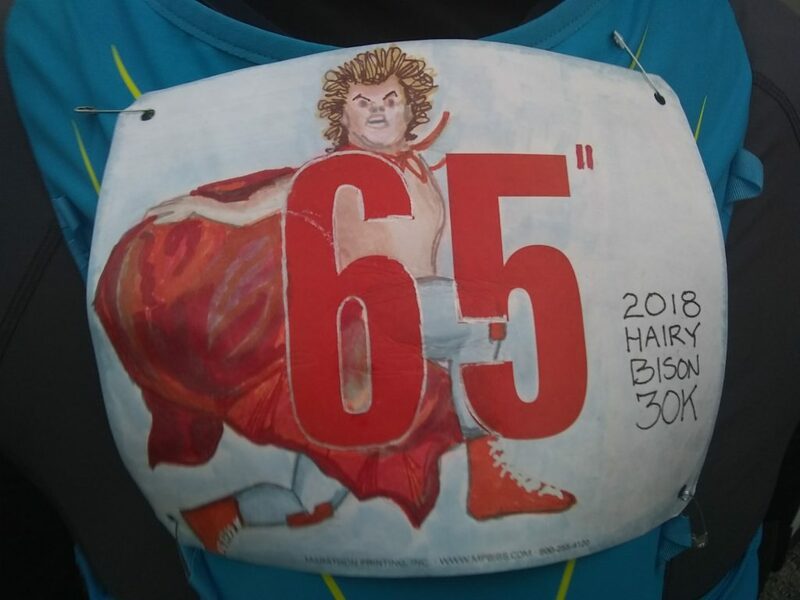 Another fun aspect of the Hairy Bison: the bibs are each individually decorated. This years theme was “movies” and every single bib (I think nearly 300 of them?) were decorated with a different movie theme. 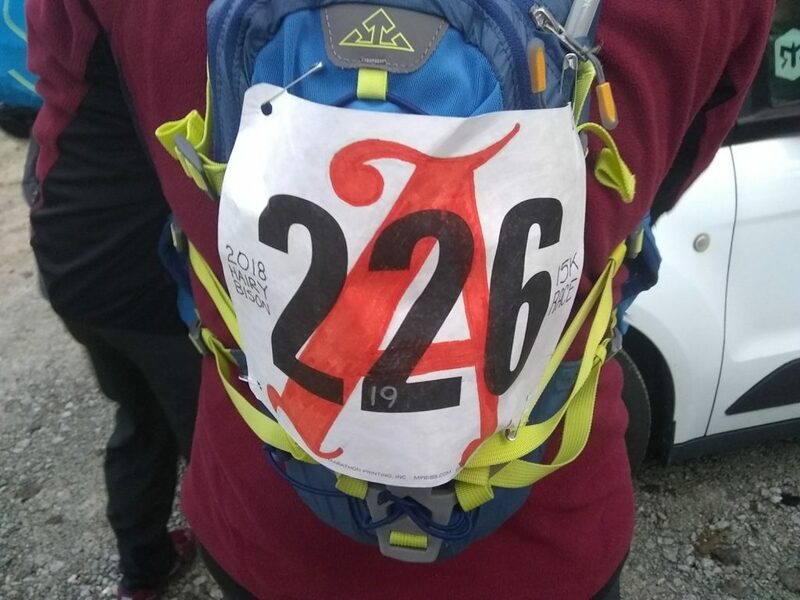 The saying goes “you don’t choose your bib, your bib chooses you”, as the numbers are not preassigned. This year, “The Whole Nine Yards” chose me, a movie that I presume is about football, but I haven’t seen. Who are we kidding, I haven’t seen most movies. We’re just now getting around to watching (binging) “The Office”, and that show started 13 years ago. I also threw a cash donation in the bucket, and grabbed a little bit of swag: a magnet, sticker, and button. 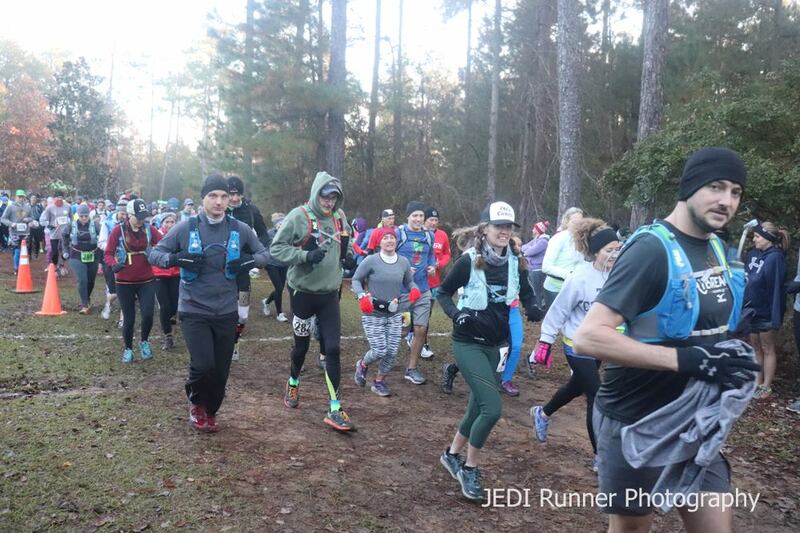 Free races are cool, but supporting the people who put on free races is even cooler. The race began , and our crew decided to jump into wave #2. None of us were there trying to win, but we also wanted to put in a solid run for the day. 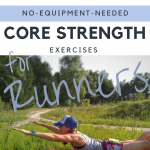 Geoff and I had run 20 miles the day before, and we decided to use the 15K as our second training run for the weekend. 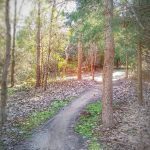 I didn’t take a ton of pictures of the course itself, as stopping to frequently take pictures on a relatively crowded single track kind of ruins your flow. You get caught up in a good paceline and you just go. 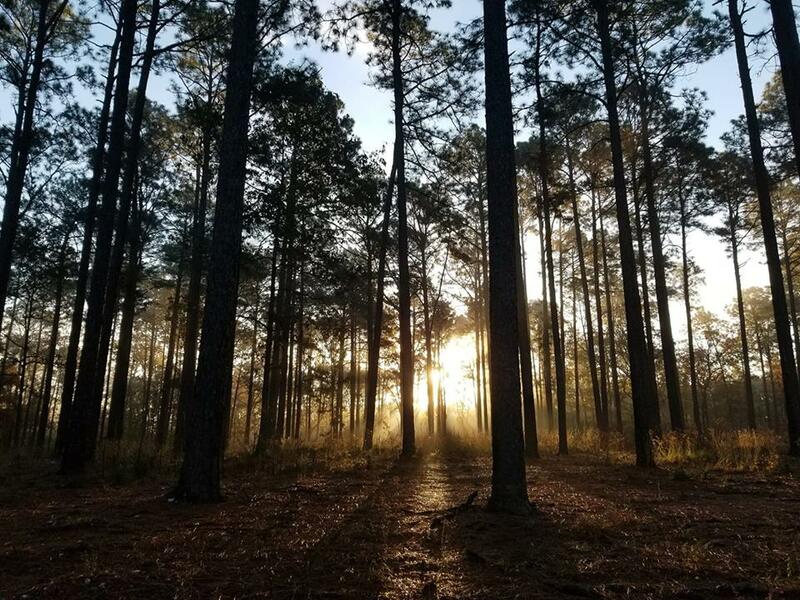 But the forest was absolutely gorgeous, with falling yellow leaves – the closest thing we get to foliage in this area of the Carolinas. It was also really foggy, which led to some really gorgeous views as the sun started to peek through the trees. There is one aid station on the course, around 4.5 miles into the 9ish mile loop. The theme this year was “Tremors“, yet another movie I haven’t seen. We were warned ahead of time in the pre-race shenanigans that our Buffalo Nickels would be on the ground, and we should use caution when picking them up. Sure enough, the nickels were in the mouth of a creepy “Graboid” that would reach for you when you reached for a nickel. 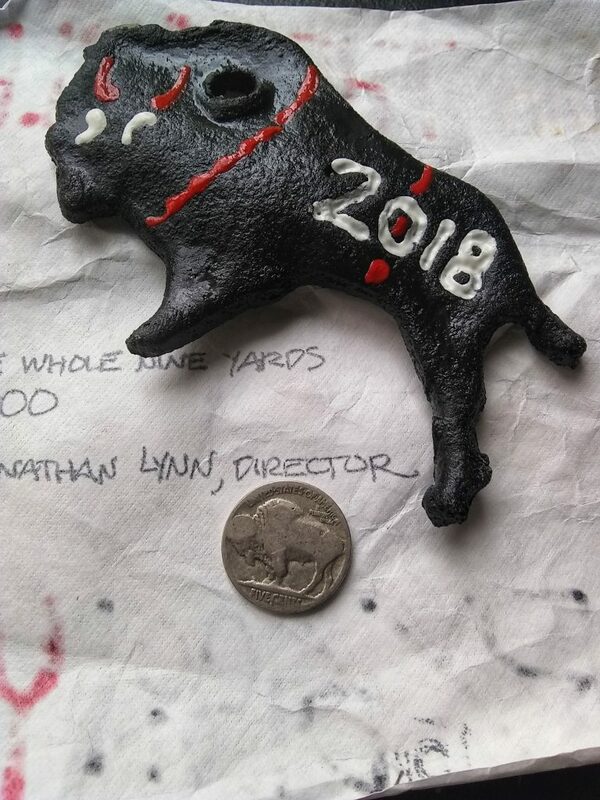 Side note: I often wonder how hard it is for the race directors to collect a few hundred Buffalo Nickels every single year. 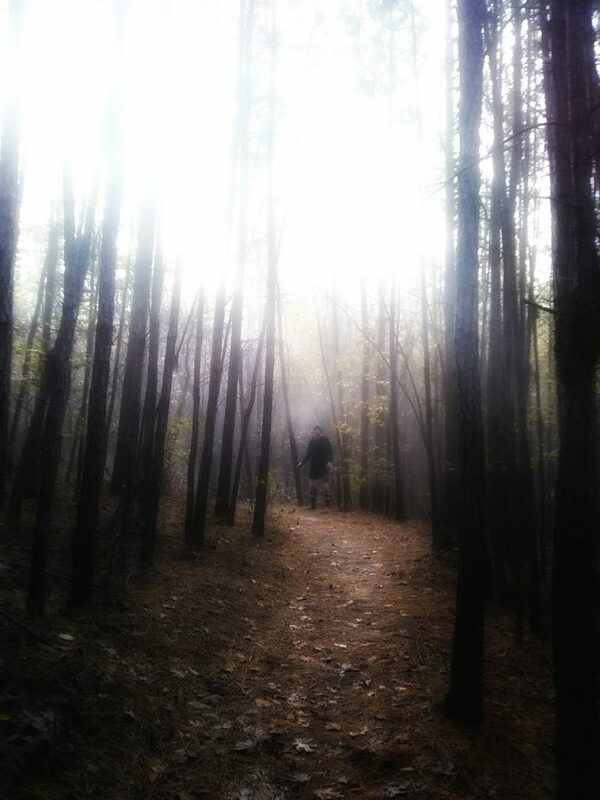 After escaping unscathed from the Graboid, we headed back into the woods. 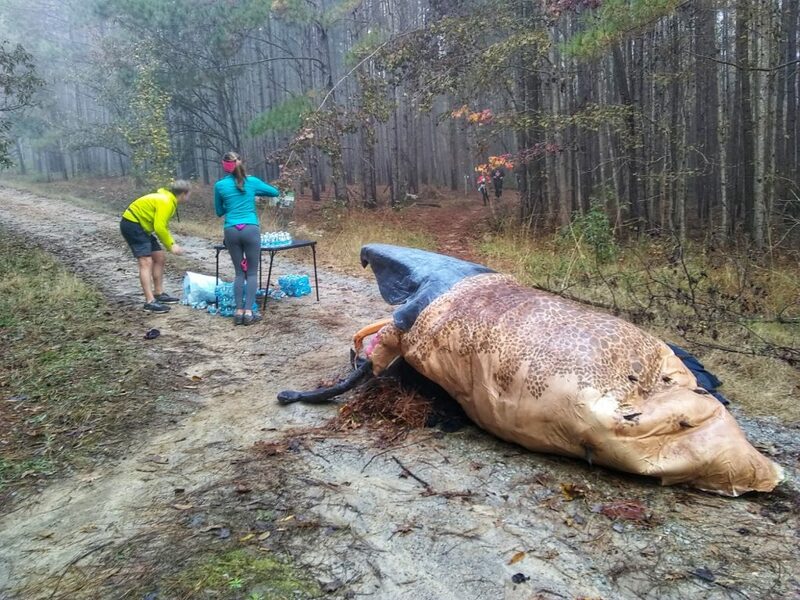 This year the course was rerouted to avoid some waist deep water so we ended up with something like 10.5 miles instead of 9.3. 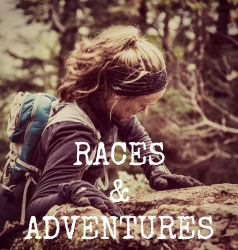 But you know, trail runs are never guaranteed to be exactly as far as the race directly claims. I have no exciting stories to tell you about the actual running of the race, for once in my entire life. It feels kind of odd to not have much of a story to tell. 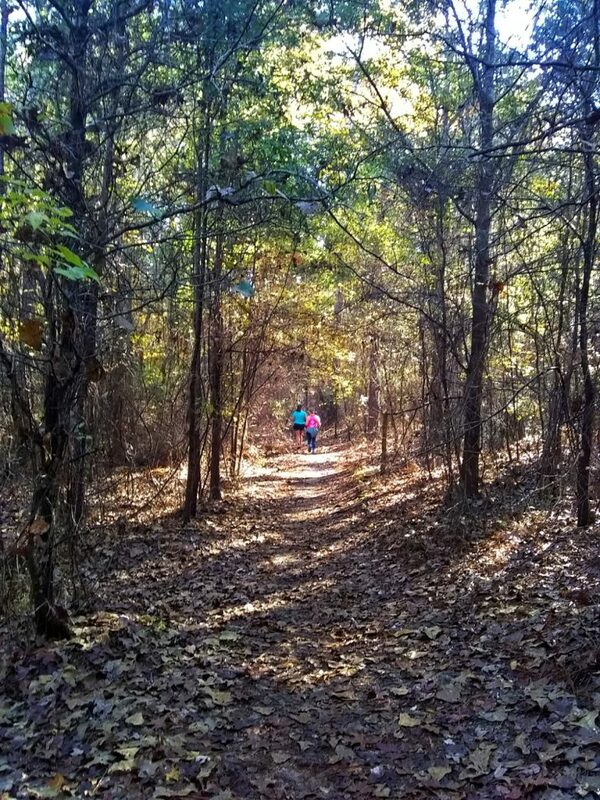 We ran at a steady but easy pace, the climbs (big, compared to Myrtle Beach) burned my quads, and I enjoyed an absolutely gorgeous day in the forest. 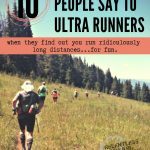 We joked, we laughed, we briefly chatted with other runners. In fact, we ran into the same lovely gentlemen that rescued us from getting lost last year! (Fortunately, we didn’t get lost this year. ) 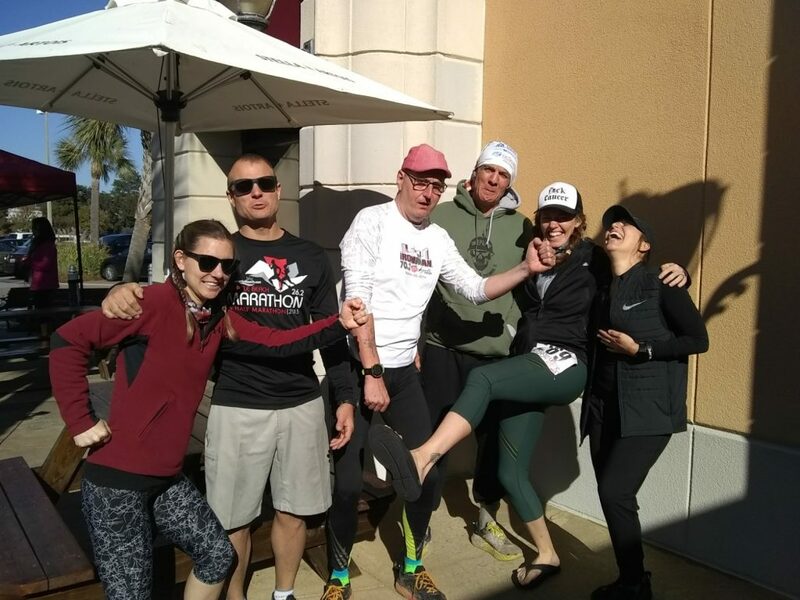 Everyone was so friendly, and so genuinely happy to be running. Towards the end, Geoff splashed Brian’s new Garmin Fenix with, and kicked my heels more than once like a little kid in a grocery store, so we both gave him hell (in the best kind of way). It was a cool yet perfect day for a run. What more could a girl ask for? I feel like if I ever made it on an official red carpet…I’d probably be wearing the same thing. One is for eating. One is definitely not for eating. Finally we sat down for the raffle, of which Geoff won the very first prize! 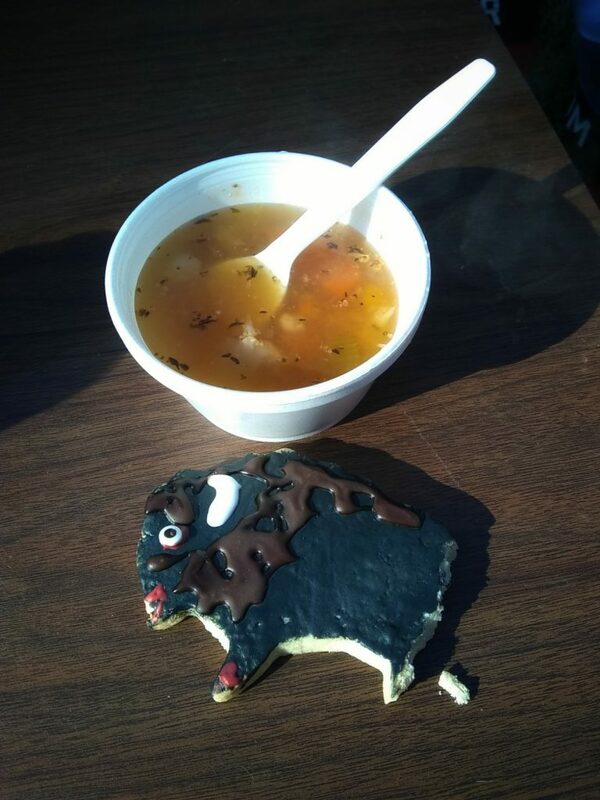 In addition to a buffalo nickel, for every lap you finish at the Hairy Bison you are given a raffle ticket. 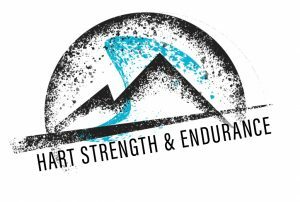 Local vendors donate a ton of prizes, from homemade pottery, to hydration packs, to shirts, to craft beer, to race entries, and more. 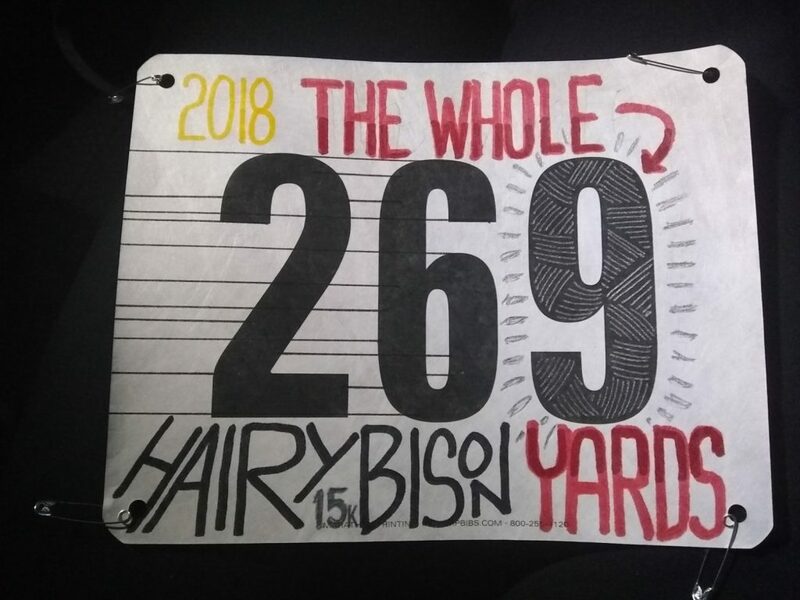 Geoff won a previous year’s Hairy Bison shirt, and it could not be more perfect for him. We sat and enjoyed the warm sunshine, while waiting for our 30K friends to come in. BUT WAIT, THERE’S MORE! For each loop you finish you are also given a coupon for a free beer or $5 off an appetizer at The British Bulldog Pub, just down the street. So of course, we cleaned up and headed to the pub to refuel. I love these crazy people more than words can say! 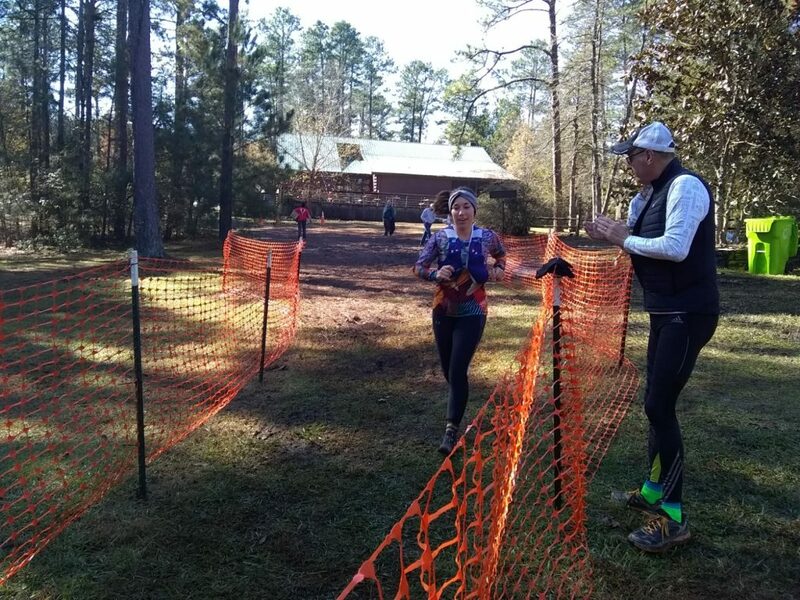 Though we told them in person multiple times, I must say it again here: Harbison Trail Runners, you put on an INCREDIBLE event. Thank you for allowing out-of-towners to come crash your party. 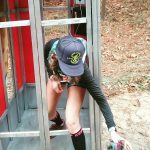 We appreciate the hospitality, and absolutely love what you do for your local trail running community. 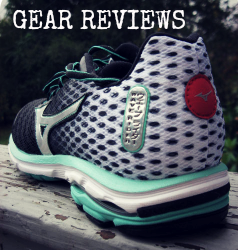 You are everything we love about trail running! We’ll see you next year! 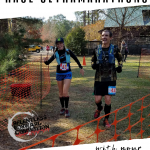 Love the race recap! I’d love to race this one, seems like a whole bunch of fun. Unfortunately, it’s a bit too far away (there’s a bunch of water in between). 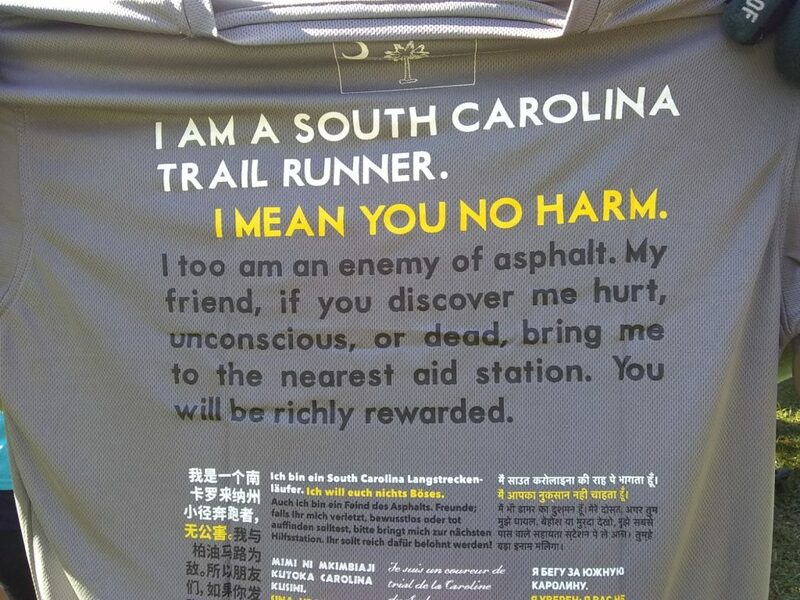 And that’s a shirt Ink’n Burn should print, without the South Carolina I guess 🙂 I’d pick it up in a heartbeat. Really funny!